Beattie's Book Blog - unofficial homepage of the New Zealand book community: A powerful biography of New Zealand's most important poet. A powerful biography of New Zealand's most important poet. A powerful biography of New Zealand’s most important poet. Allen Curnow (1911–2001) is widely recognised as one of the most distinguished poets writing in English in the second half of the twentieth century. From Valley of Decision (1933) to The Bells of Saint Babel’s (2001) he defined and redefined how poetry might discover the possibilities of a world seen afresh. Through relationships with writers from Dylan Thomas to C. K. Stead he influenced the changing shape of modern poetry. And in criticism and anthologies like the Penguin Book of New Zealand Verse he helped identify the distinctive imaginative preoccupations that made New Zealand’s writing and culture different from elsewhere. By the time of his death at the age of ninety, he had completed a body of work unique in this country and increasingly recognised internationally. His major biography introduces readers to Allen Curnow’s life and work: from a childhood in a Christchurch vicarage, through theological training, journalism and university life, marriages and children, and on to an international career as a writer of poetry, plays, satire and criticism. The book lucidly identifies the shifting textures of Curnow’s writing and unravels the intersections between life and words. 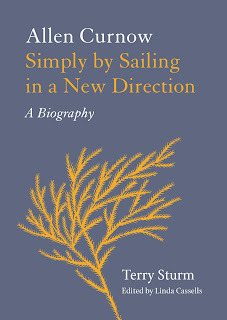 The result of over a decade’s research and writing, Simply by Sailing in a New Direction offers deep insight into the development of New Zealand literature and culture. 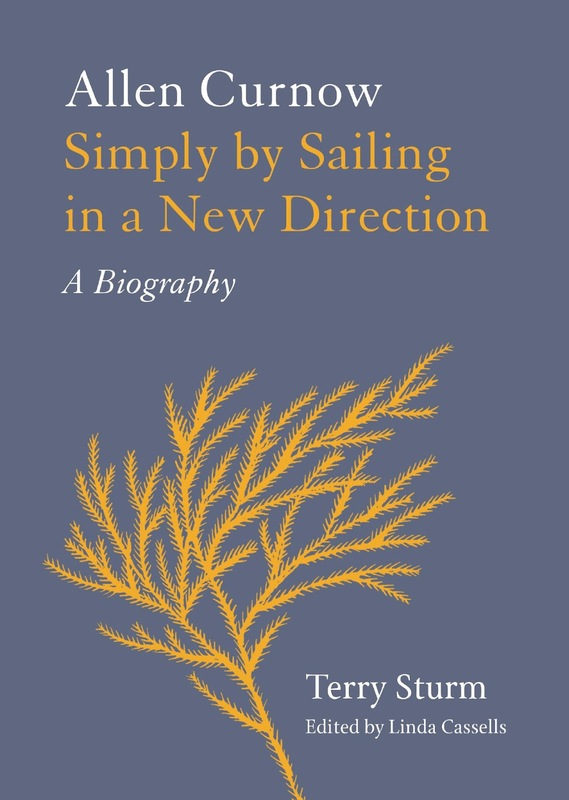 Terry Sturm (1941–2009) was editor of the Oxford History of New Zealand Literature (1991, 1998), professor of English at University of Auckland and an authority on New Zealand popular fiction. He was author of An Unsettled Spirit: The Life and Frontier Fiction of Edith Lyttleton (AUP, 2003) and editor of a selection of Curnow’s verse written under his pseudonym Whim Wham, Whim Wham’s New Zealand: The Best of Whim Wham 1937-1988 (Random House, 2005). Linda Cassells has a doctorate in Linguistics from the University of Bath and over 25 years’ experience in book publishing.